Regional changes in surface meteorological variables are one of the key issues affecting the Indian subcontinent especially in recent decades. These changes impact agriculture, health, water, etc., hence important to assess and investigate these changes. The Indian subcontinent is characterized by heterogeneous temperature regimes at regional and seasonal scales. The India Meteorological Department (IMD) observations are limited to recent decades as far as its spatial distribution is concerned. In particular, over Hilly region, these observations are sporadic. Due to variable topography and heterogeneous land use/land cover, it is complex to substantiate impacts. The European Centre for Medium-Range Weather Forecasts (ECMWF) ERA-Interim (ERA-I) reanalysis not only covers a larger spatial domain but also provides a greater number of inputs than IMD. 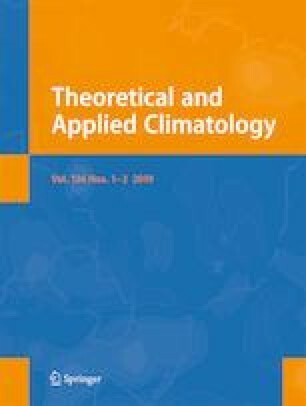 This study used ERA-I in conjunction with IMD gridded data to provide a comparative assessment of changing temperature patterns over India and its subregions at both regional and seasonal scales. Warming patterns are observed in both ERA-I and IMD data sets. Cold nights decrease during winter; warm days increase and warm spell duration increased during winter could become a cause of concern for society, agriculture, socio-economic reasons, and health. Increasing warm days over the hilly regions may affect the corresponding snow cover and thus river hydrology and glaciological dynamics. Such changes during monsoon are slower, which could be attributed to moisture availability to dampen the temperature changes. On investigation and comparison thereon, the present study provisions usages of ERA-I-based indices for various impact and adaptation studies. The online version of this article ( https://doi.org/10.1007/s00704-018-2486-5) contains supplementary material, which is available to authorized users. The author acknowledges financial support provided by the British Council in the form of Commonwealth Fellowship. The author also acknowledges Dr. C. Goodess, Climate Research Unit, University of East Anglia, Norwich, UK, and Dr. R. C. Cornes, The Royal Netherlands Meteorological Institute (KNMI), Netherlands. The author acknowledges Ms. Dallas Stanley for comprehensive English edits.